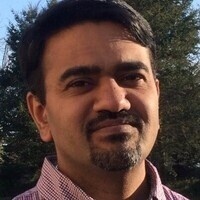 Sriganesh Madhvanath is Director of Applied Research at eBay Inc., an American multinational e-commerce corporation based in San Jose, California that facilitates consumer-to-consumer and business-to-consumer sales through its website. For over 20 years, Sri has held positions in research and development at companies such as IBM, Narus, Sun Microsystems and Hewlett Packard. Prior to working with eBay, he managed the Data Analytics group at PARC East (formerly Xerox Webster Research Center) and was Director of Computational Data Analytics at Conduent Labs. Sri earned his Bachelor of Technology in computer science from IIT Bombay and a PhD from the University of Buffalo. Join us to hear about his career path, his work projects and his tips for having a career in data science.